Nothing beats fresh produce. Still, in the kitchen, using canned or frozen fruits and vegetables can be a lot more convenient—but is it worth it? Are you giving up nutrition for convenience? Although a fresh fruit or vegetable would never be considered unhealthy, surprisingly there are a few circumstances where frozen and even canned could offer you more health benefits than fresh. Here’s a closer look at a few examples of fresh foods compared to their canned or frozen counterparts. Fresh tomatoes vs. canned tomatoes. If you’ve ever eaten a tomato in February, then you are well aware of the challenges that a fresh tomato faces. It’s a seasonal food. But even in season, canned tomatoes offer something that fresh can’t. Tomatoes are preserved using heat, which releases lycopene—a carotenoid that may help prevent prostate and breast cancer. And canned tomatoes are super-easy: they’re already peeled, chopped and ready to cook with! Canned tomatoes are now available in glass jars or aseptic boxes in addition to “BPA-free” cans. That’s good news, because many cans, especially those used for acidic foods like tomatoes, are manufactured with BPA (bisphenol A). Why worry about BPA? Studies have linked BPA to infertility, heart disease and diabetes. BPA has been phased out of baby bottles and some plastic water bottles, but the FDA considers it safe in its current food-packaging uses. Fresh peas vs. frozen peas. Unless you have a garden, frozen peas are the way to go. Why? Peas’ sugars turn into starch as soon as they are picked. After 24 hours, those sweet little green gems can be grainy and dull-tasting. Frozen peas, on the other hand, are picked and frozen at the peak of ripeness, halting the process of sugars turning to starch, so it’s a better bet that frozen peas will have the sweet taste you’re looking for. Plus, you don’t have to do any shucking! Fresh lemon juice vs. bottled lemon juice. Do you squeeze the juice from a fresh lemon when you need it or do you just reach into your fridge and use the bottled stuff? If it’s the latter, then you might want to reconsider putting in the effort to use fresh lemon juice. Bottled lemon juice may have additives that have very little to do with lemons. And if you’ve ever tasted bottled lemon juice, you’ll notice that the flavor is a little off—not bright and lemony like the real stuff. Stick with squeezing fresh lemons. To have lemon juice on hand without always buying fresh lemons, squeeze a bunch of lemons and freeze the juice in ice cube trays to use as needed. Fresh broccoli vs. frozen broccoli. Yes, it’s true that frozen vegetables may be even better than fresh vegetables, nutritionally speaking (depending on their season and how long the fresh stuff has been on the shelf). But there are circumstances where frozen vegetables can’t beat fresh vegetables. Take broccoli, for example. 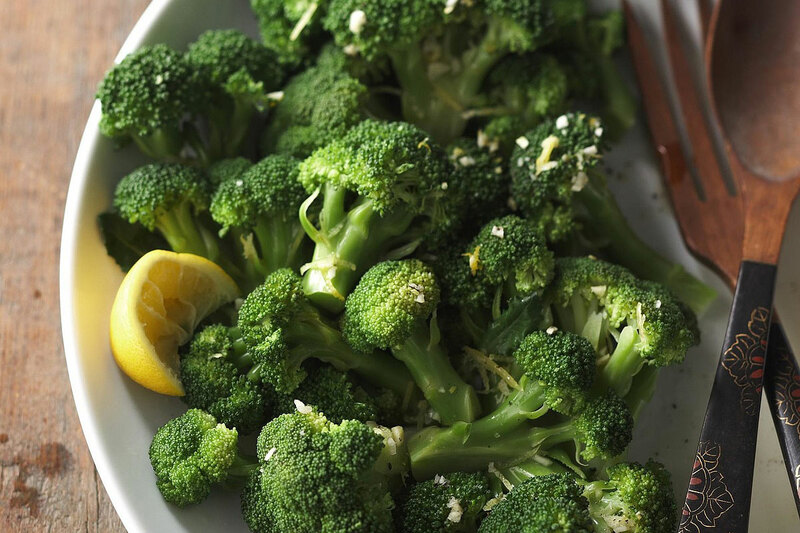 Frozen broccoli is watery and often mushy when it’s cooked. Add it to anything in its frozen state and you’ll end up with a watery mess. It is convenient that it comes in prechopped florets, but you’re better off sticking with fresh. If it’s convenience you’re after, look for bags of fresh florets instead of crowns to cut down on prep time. Fresh salmon vs. canned salmon. Tuna isn’t the only fish that comes in a can! Salmon does, too, but should you use it over fresh? The answer is, it depends. The pros of canned salmon are that it’s inexpensive (around $2.50 for a can compared to $13 a pound for fresh), it has a long shelf life and it’s cooked and ready to use. The cons are that it’s higher in sodium than fresh and some cans come with skin and bones (some people find that off-putting). And you can’t substitute a can of salmon for a pretty fillet in a recipe. Stick with canned salmon if you want a quick sandwich filling, or use it to top a salad. If it’s a fillet you’re after, stick with fresh. Fresh spinach vs. frozen spinach. There’s a reason Popeye reached for a can of spinach rather than a fresh bunch. He knew that he could get more bang for his buck. You can squeeze a lot of spinach into a can or a box, delivering more spinach in less volume. (You would have to eat a mountain of fresh to get what you can in a 10-ounce box of frozen.) We prefer frozen spinach over canned—it’s got better flavor and is lower in sodium—but the same principle applies. One cup of frozen spinach has more than four times the amount of nutrients, such as fiber, folate, iron and calcium, than a cup of fresh spinach, so if you want to power up, do it with frozen spinach.